A reducing appetite and eating less is expected as we age. (And that’s okay!) 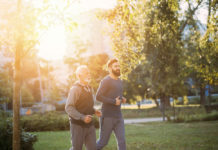 However, there are strategies to deter against such risks, particularly by understanding causes and treatments for loss of appetite in the elderly. A reducing appetite and eating less is expected as we age. (And that’s okay!) 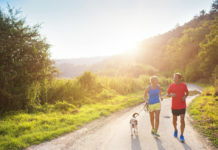 Seniors’ metabolism slows down and they are less likely to exercise regularly, resulting to less calories that are needed to burn compared to younger, more active adults. However, a noticeable and significant loss of appetite can be quite concerning, as it may signal an underlying health condition, cause malnutrition, and a series of ongoing concerns. However, there are strategies to deter against such risks, particularly by understanding causes and treatments for loss of appetite in the elderly. Senses change with age, which can compromise the way we taste and smell food. Nonetheless, a sensitivity or diminished ability to taste and smell food can lessen the interest and enjoyment of eating. Chewing difficulties and discomforts are common in the elderly, and can discourage them away from food and compromise appetite. Causes of chewing problems include teeth decay, ill-fitting dentures, dry mouth, muscle sores, stroke, certain forms of cancer, stroke, and chronic diseases such as Parkinson’s disease and multiple sclerosis. Seniors who live independently may find preparing meals to be a challenging task, while compromised mobility also makes it more difficult to prepare and obtain meals on a regular basis. 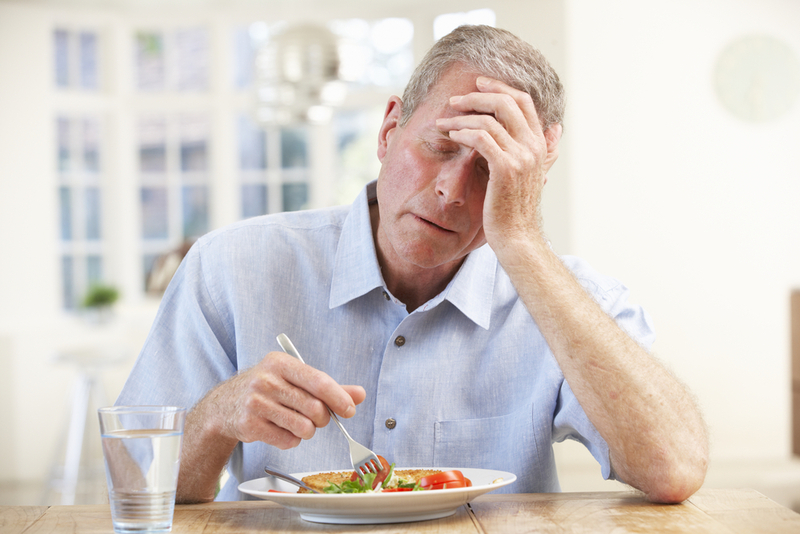 Loss of appetite may be the result of an underlying health condition, including heart disease, thyroid disorders, cancer, stroke, chronic lung disease, Alzheimer’s and Parkinson’s diseases. Certain medications can cause nausea, drowsiness, dry mouth, and a metallic taste towards foods, which may subsequently cause loss of appetite. Social isolation is common in the elderly population and can upset both physical and mental health. This segregation increases the risk of depression and loneliness, in turn the likelihood of loss of appetite, and even more so if seniors eat alone. Constipation may cause loss of appetite in elderly, particularly related to feelings of fullness and bloating. Constipation is a shared concern among elderly related to inadequate fiber in the diet, dehydration, and reduced physical activity. Speaking of reduced activity… Regular exercise and activity helps boost appetite. With seniors habitually being less active, they are less likely to work up a hunger for regular meals. First and foremost, anytime you notice food avoidance repeatedly and weight loss in your loved one, it is important to bring it up to your loved one and their healthcare provider. Ignoring appetite loss can eventually lead to greater concern, as inadequate intake of vitamins and minerals is likely to result and a nutrient-rich diet is vital to your loved one’s overall quality of life. Also discuss with your loved one’s doctor bout taking a multivitamin or nutritional supplement to lessen the risk of nutrient deficiencies, along with underlying health conditions and medications the senior may have or need managed. Oftentimes being creates of habit, structure is important to the elderly. Creating a meal routine in which breakfast, lunch, dinner, and snacks are given at consistent times throughout the day can help influence regular food intake. Setting a large volume of in front of seniors can be overwhelming and discourage them from not only eating all of it, but altogether. Decrease portions and increase the calories and nutrients within the food, particularly by incorporating creams, cheeses, oils, full-fat yogurts and milks, guacamole, peanut butter, and nuts and seeds in their meals and diet. Make mealtimes a social event, including at community and senior centers, churches, or home with loved ones. Doing so mitigates from the risks loneliness and depression that may stem from eating and being alone. Rather than serving the same monotonous meals, get creative! Offer and introduce new flavorful and colorful foods, along with using vibrant plates, to enhance the appeal of meals and snacks. Avoid strong odor foods, add already prepared foods, cook with the exhaust fan on, and drink through straws to minimize odor. Choosing room temperature or cooler foods and enhancing food flavor with seasonings can improve the flavor of foods, while mints, candies, etc. can leave a fresh taste in mouth. If food tastes metallic, swap metal utensils and dishes with plastic ones. While chewing difficulties may make it more difficult to consume a nutritious diet, there are modifications that can ensure adequate dietary intake. Seniors may need to modify food consistency to make some foods are easier to eat, including by chopping, mashing, grinding, and pureeing them. It is also important to see a dentist for treatment of decaying teeth or ill-fitting dentures. Community agencies can provide meals and transportation assistance for seniors lacking reliable mobility. Encourage family members, friends and neighbors to eat with them. Senior centers and meal delivery services such as Silver Cuisine can also ensure nutritional needs are being met. 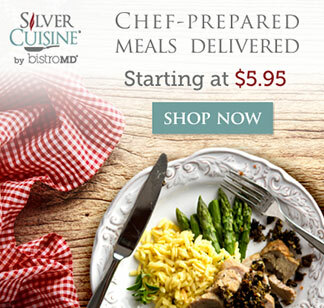 Silver Cuisine delivers delicious, doctor-designed, and chef-prepared meals straight to seniors’ doorsteps, reassuring you that your loved one is eating healthy and delicious meals!